Unauthorized sellers may be selling counterfeit, used, damaged, secondary-grade or altered products (including products that have had serial numbers removed or altered), and often do not even have the SAUNACORE products in inventory to sell. 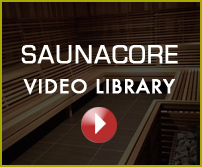 ALL Saunacore products are identified with the SAUNACORE (or Steamcore/Infra-Core Brand on the product). Warranty only applied to authentic Saunacore products purchased from authorized resellers. Don’t be fooled by clones. To avoid these problems, you should always buy from authorized SAUNACORE dealers. If you have any questions regarding whether you are dealing with an authorized SAUNACORE dealer you can call us at 1-800-361-9485 or email us at info@saunacoreproducts.com.